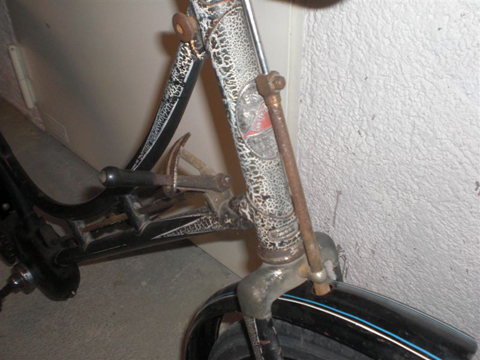 A bicycle with a gear-stick always attracts attention. Two models featuring this interesting innovation are both German, an Adler * and a Bismarck. 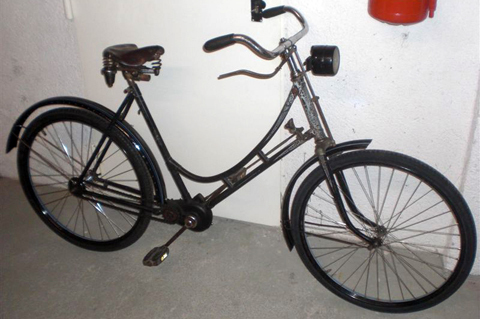 The Berg wei Tal (‘Mountain Valley’) 2-Speed was made between 1936 and 1940. The ‘Berg wie Tal’ is an interesting machine. 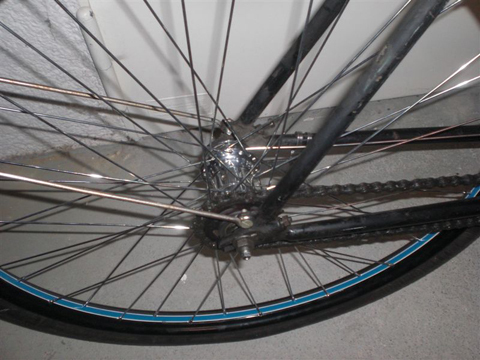 Unlike the Adler Drei Gang, which has a gearbox to house its gears, Bismarck built a two-speed gear in the bottom bracket, where the primary ratio was formed with two chains. 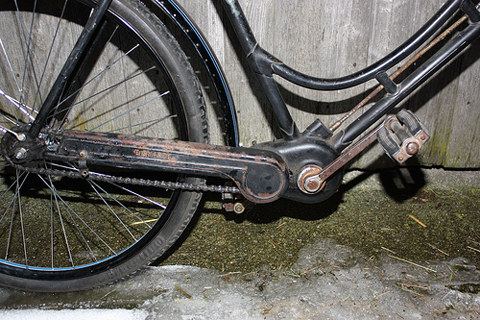 You can see more clearly in the photos below with the chainguard removed. 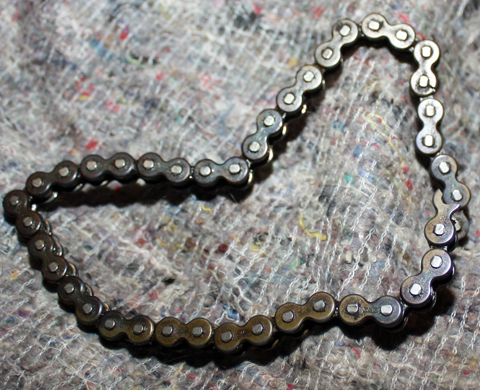 The second chain has been removed because one of the links is broken. I’ll replace it. 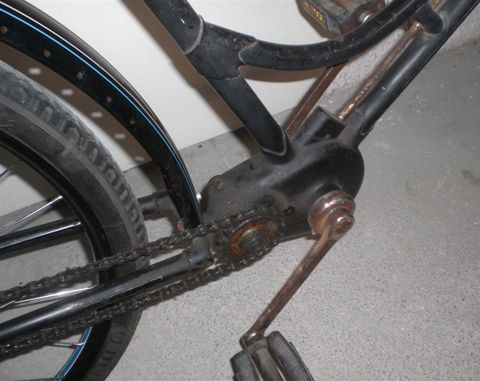 It drives perfectly in one gear, using one chain, and when the second chain is fitted it will drive fine in second gear too. 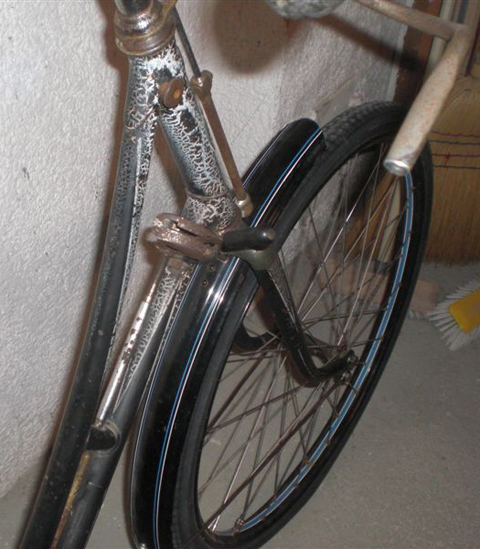 Until the 1890s Great Britian was the main supplier of bicycles to Germany. 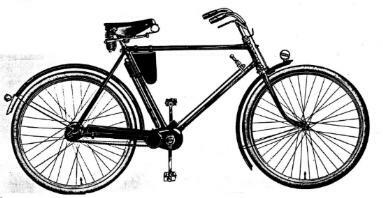 But once the new bicycle boom started, as a result of the new safety bicycle design, many German companies were established. 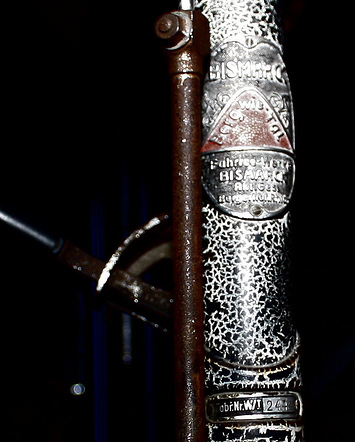 With backing from three Hamburg merchants, Carl Gottlieb and Richard Holbeck started ‘Bicycle Works Bismarck’ in 1896. 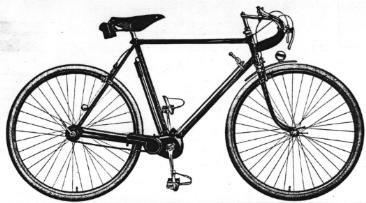 The first Bismarck bicycle rolled off the production line in April 1897. By February 1911, 100,000 cycles had been made. 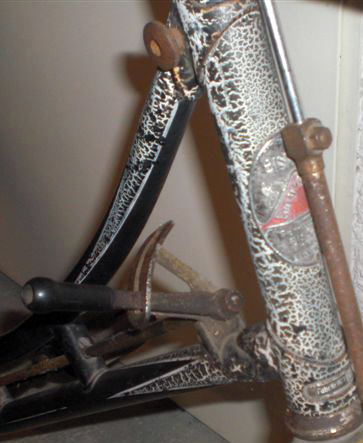 The company was very innovative and, by 1902, was fitting their bicycles with coaster brakes. In the 1930s, the ‘Berg wie Tal’ was added to the product range. 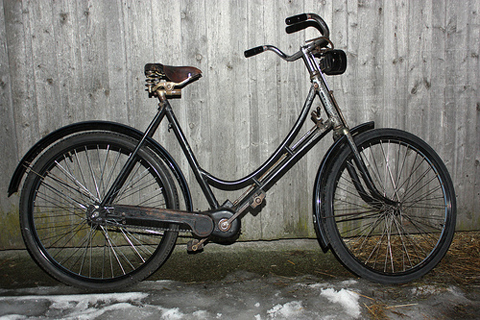 Bismarck bicycles were exported to Scandinavia under the name of Skandia. The brand name Siegfried was used in Bavaria. Bismarck made motorcycles too, between 1904 and 1956. Minerva, Fafnir and Anzani engines were used until 1908. When Fichtel & Sachs introduced its famous two stroke engine in 1931, Bismarck (like most German motorcycle manufacturers) used their engines in lightweight machines. JLO engines were also used, and in July 1938 Bismarck introduced the Saxonette hub engine. The Saxonette had various teething problems, but WW2 interrupted the engine’s refinement. 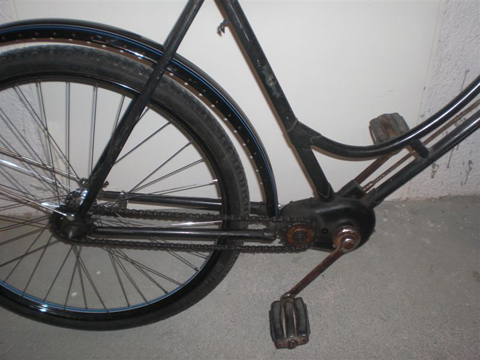 It was re-designed during WW2 by German inventors ready for postwar production as a cycle-attachment engine. But, after the War, the allies confiscated the plans, and the engine ended up in Great Britain, to be manufactured by EMI Ltd as …the Cyclemaster! Though Bismarck achieved sponsored racing successes prewar, their team was more successful after WW2. Postwar business was not so good though. 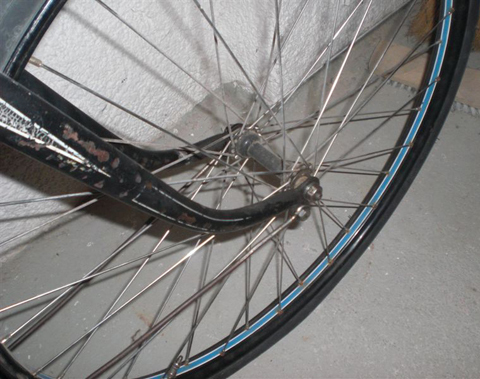 Despite a short bicycle boom in the early fifties, by 1957 the company filed for bankruptcy.